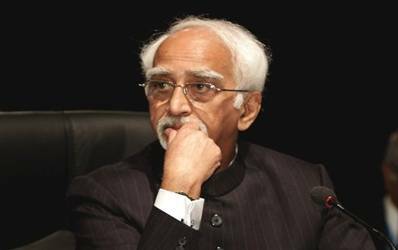 New Delhi, Dec 31 (IANS) Vice-President Hamid Ansari on Wednesday condoled the death of veteran journalist B.G. Verghese, saying "we have lost a fearless commentator and a prolific writer". In his condolence message, Ansari said: "I am profoundly saddened at the passing away of B.G. Verghese, a doyen of Indian journalism, and amongst the most versatile and influential intellectuals of our country." "In a long and illustrious career in journalism, Verghese wrote on diverse issues ranging from civil liberties and human rights, especially of the weaker and marginalised sections of society, to rural development, environment and national security, with a focus on non-traditional security issues." "In his departure, we have lost a fearless commentator and a prolific writer who made valuable contributions to the national debate on important issues of public interest and concern," he added. Verghese, an acclaimed editor, was a highly respected columnist and a leading intellectual. The 87-year-old breathed his last Tuesday at his son’s residence in Gurgaon. He is survived by wife and their two sons.